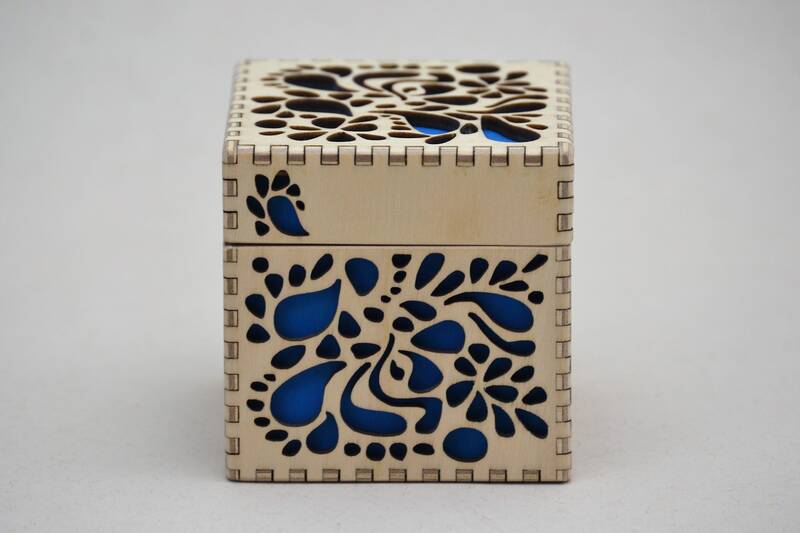 This cheerful and beautifully finished cube has an abstract design cut into its top and sides that reveal a simple box below. Just the right size to hold paperclips, rubber bands or - whatever! 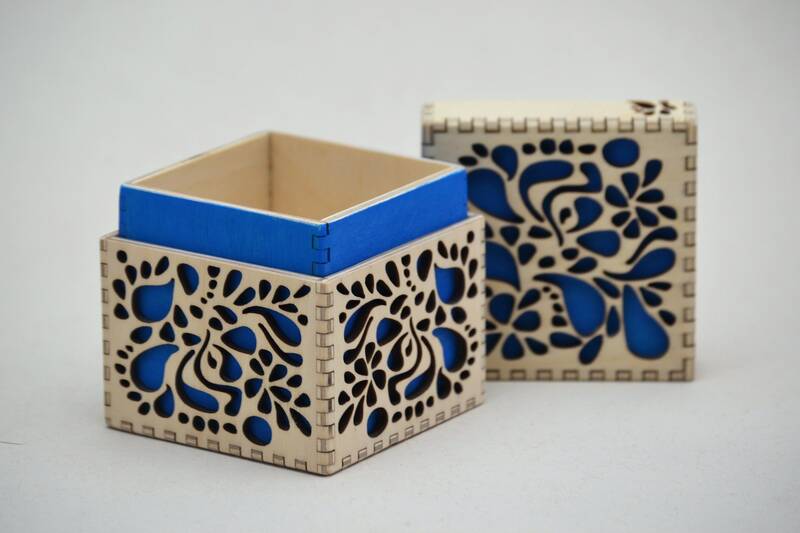 The box is made of Baltic birch plywood, laser cut, hand assembled with a brightly painted lining. Currently we have bright peacock blue, hot pink, red, orange, and purple available. Note: If the color you want is not in stock send us a 'conversation' and we will make you one in the color you want.